Whilst out on bird counts in Pohangina (Manawatu, New Zealand), Emma and I stumbled across a dead tree which was still standing. Being curious ecologists, we peeled back a large piece of bark. Behind the bark was this wonderful tunnelweb spider. 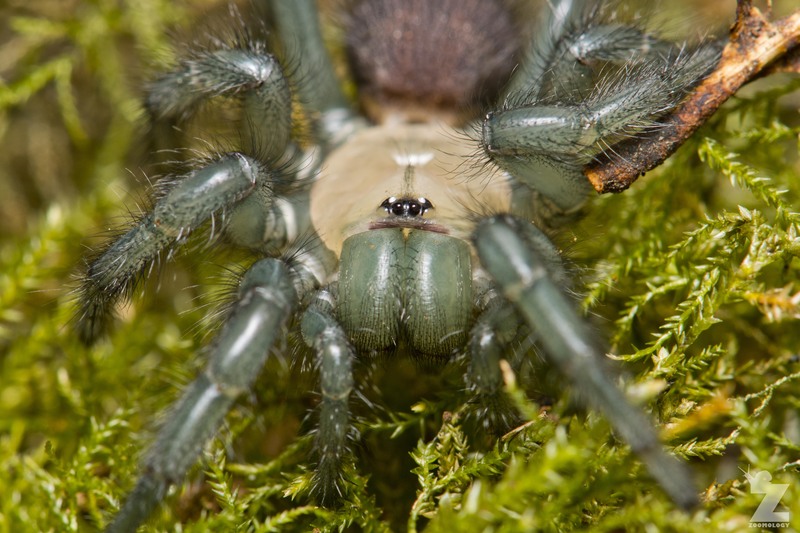 It had just moulted, displaying its cream cephalothorax (fused head and thorax) and blue translucent legs. Normally, these spiders are entirely black or black with a red/orange cephalothorax. 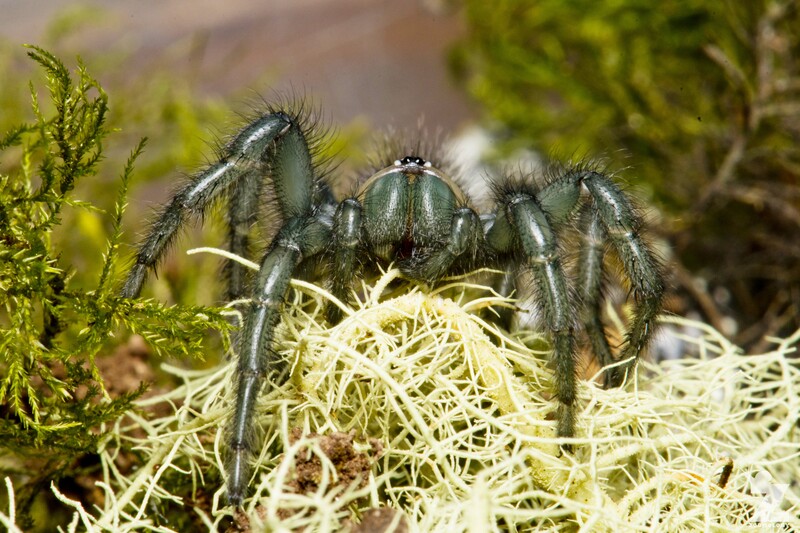 This spider, given time, would slowly change to this darker colouration as its exoskeleton hardened. 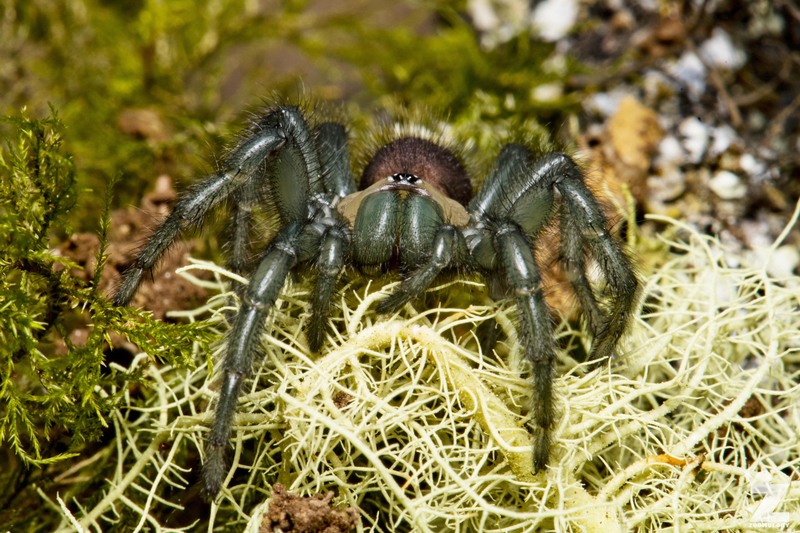 There are 85 species of tunnelweb spider known worldwide. Of these, 25 are found in New Zealand. 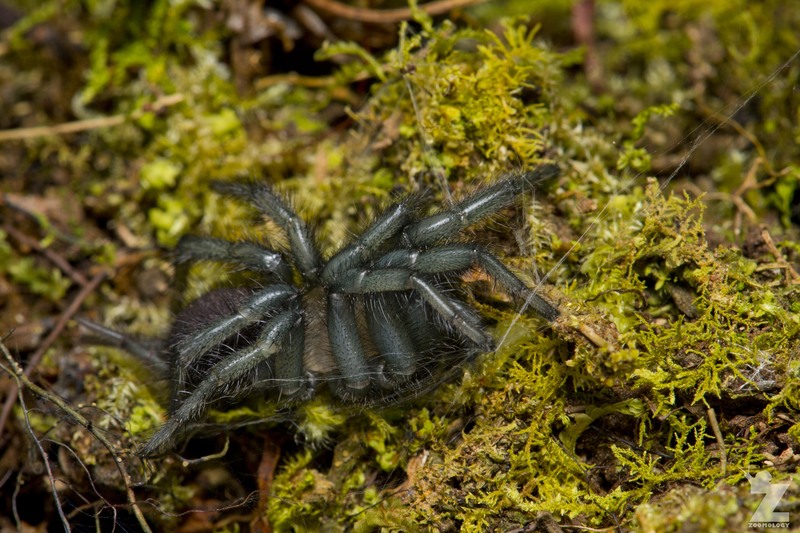 According to Crowe’s book, ‘Which New Zealand Spider?’, the most common New Zealand tunnelweb species is the banded tunnelweb (Hexathele hochstetteri) which we are yet to see. The search is on! Thank you, Pete! You’re more than welcome. 🙂 I could imagine that they might, too! Most spiders are like that! You are lucky to have encountered it.